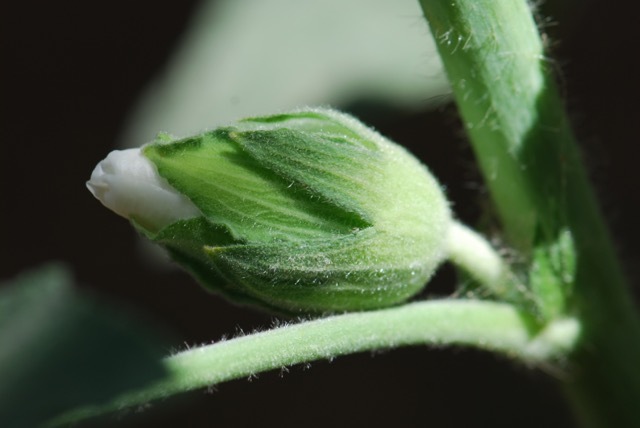 Some plants just have flower buds. 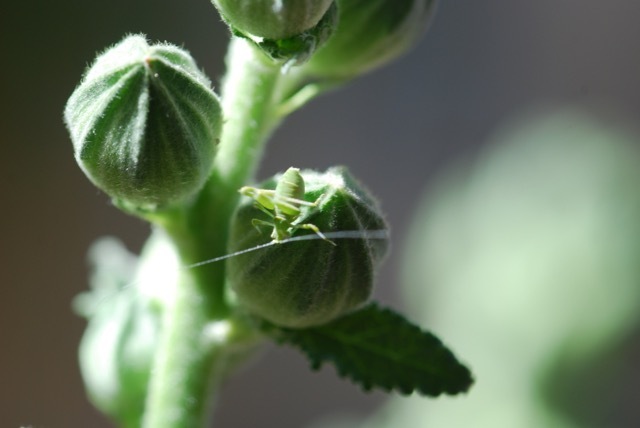 Once again, having a certain kind of plant means having a certain kind of insect. 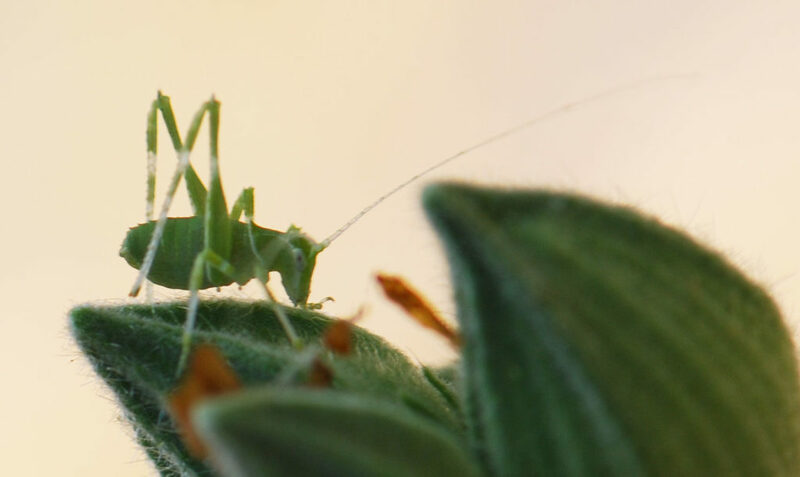 In this case, the insects are oblong-winged katydid nymphs. Wow, those antennae are so long. 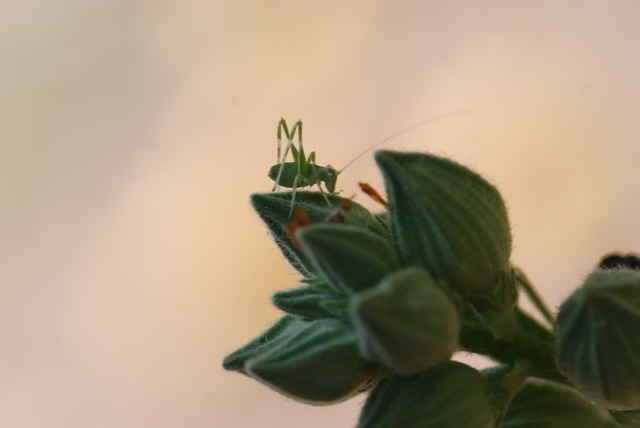 I checked, and I had found the same kind of katydid nymphs on May 1, 2013. They were also on hollyhocks. 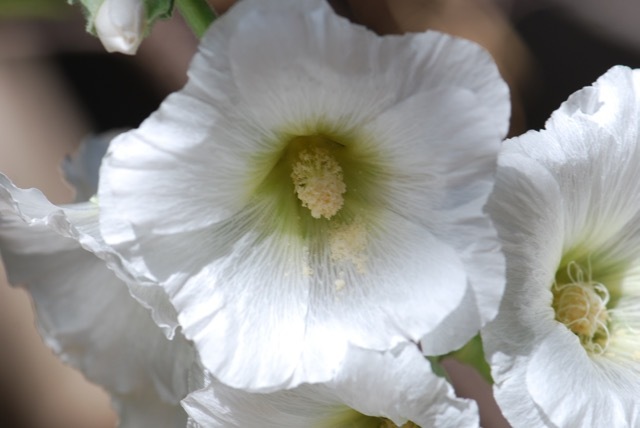 I only have a few hollyhock plants in my yard, and I'm pretty sure none of my immediate neighbors have them. I wonder how the katydids even find them, let alone show up with such regularity. I guess if you eat mainly hollyhocks, you're probably pretty great at finding them.